“If you have good thoughts,they will shine out of your face like sun beams and you will always look lovely”- Roald Dahl. The Giraffe and the Pelly and Me,by Roald Dahl and illustrated by Quentin Blake is a short fiction picture book first published in 1985.It is an amazing fiction for children aged 6-10 years who enjoy reading and exploring language. The story is about a ladder less window cleaning company. The best thing about the book is that a child is the narrator which makes it more connecting and relatable for the readers and fascinates them. 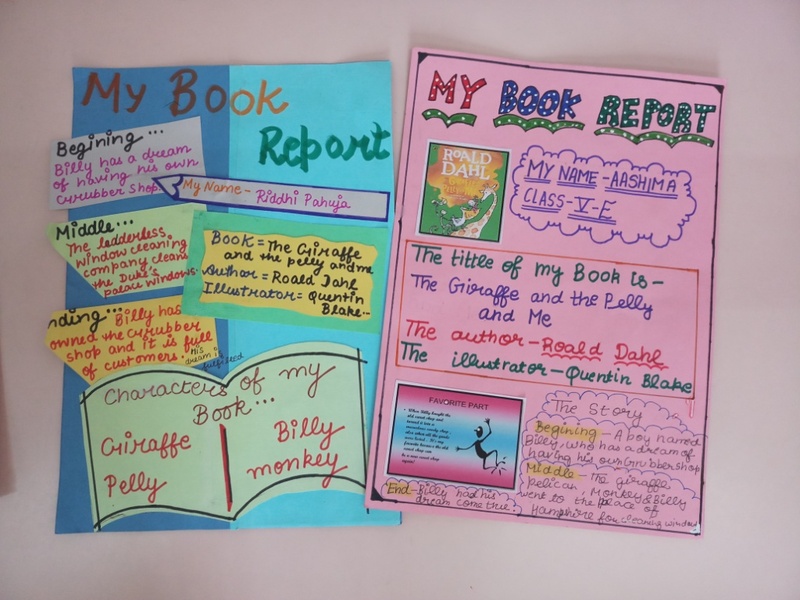 ''THE GIRAFFE AND THE PELLY AND ME'' is a short story by Roald Dahl and the 'ME' in the title refers to Billy,a young boy who makes friends with a giraffe ,a pelican and a monkey. At first Billy is dismayed and then fascinated seeing these animals because they have taken over a long abandoned shop in his neighbourhood where Billy had dreamt of opening up his sweet shop in his neighbourhood They call their business ladderless window cleaning company,rightly so because the giraffe has along neck and can clean any window with ease. Humorous,charming and some senseless bits make the tale very easy for those starting to read books that are longer than picture books. Dahl's characters are easy to feel for and their weirdness make them endearing to young readers. The action suddenly picks up pace in places with breathless ease and the trouble these friends get in when they meet an old Duke,make it impossible to put down the book until it is over. It is not one of the most well-known of Dahl's stories but it contains all the magic that makes Roald Dahl a master storyteller for kids. The coinage of the words and the vocabulary used in his books is fabulous and superb. As you go on reading you feel that the words are getting imbibed in your memory. It helps children to enhance their vocabulary. Overall it's a short story and the illustrations are as good as Dahl's books always have. The children prepared their book report on this short piece of fiction. They used their aesthetic and creative writing skills. 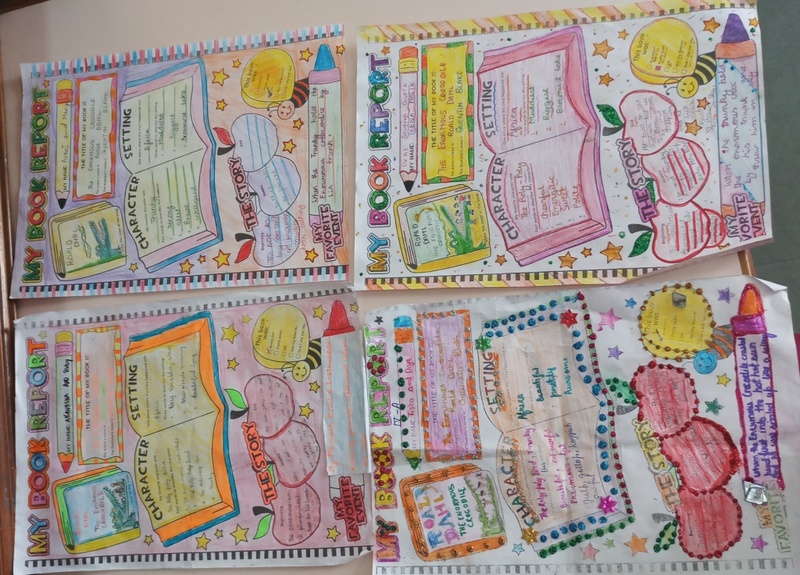 They enthusiastically wrote in the given templates expressing and framing beginning,middle and end of the story in their own words. This proved to be a great learning as it was fun filled.